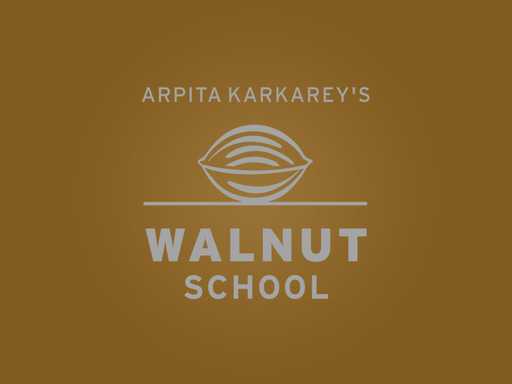 Arpita Karkarey writes how she addresses all the problems plaguing our schooling system, with careful planning and attention to detail. The most common morning sightings these days are children with heavy school bags at their bus stops. There are hassled mothers who have stayed up all night to help them finish a project standing next to them waiting for the bus to come. Working all night on a project to get a good grade, after which it goes to the trash is what we familiar with too. Burdening the students and parents with crazy projects, heavy school bags, homework, tests and workshops is not the goal of school at all. Turning the child’s day into a mad rush is not what school is all about. Just having huge buildings and packed classrooms does not turn an establishment into a good school. How can we give a meaningful, enjoyable schooling experience to our children? I have been an educationist and an academician for the last 15 years. As I run my own schools and have been a consultant to many others I have spoken to many parents across different schools. I realized that they have many common grievances and issues. With careful planning I have eliminated them in my school. I would like to address some of them here. In our school, we have no school bag. This single feature requires a mountain of planning. The teaching and material needed for every period is planned. The material given to the children is taken home from school every day and kept at home. This way, the parents know of the progress of their child daily. They go on filing the worksheets as they come, so the notebooks and textbooks are automatically created at home. As every assignment is planned properly, children do a lot of focused work in the classroom. Accordingly, homework is also meaningful and focused. So, the children are never burdened by a ton of homework on a single day, and parents don’t have to run around trying to get “projects” made for their children. Homework is hence, always done by kids and it always strengthens their core concepts. CCE stands for Continuous Comprehensive Evaluation. This does not mean eliminating exams. It means testing to make sure learning is happening continuously and to test different skill sets so that there is all round development. With good planning, children don’t know they are taking a test. Tests are taken to check whether the child has understood and can analyze what is being done. Teachers keep an eye out for students who have not got it right the first time, and can assist them then and there, so that they get it right the next time. While formal summative examinations do exist once in a while, these smaller formative evaluations are conducted often. This, in spirit, is the CCE. We take regular communication with parents very seriously. We have parents meetings every other Saturday. These are one-on-one private meetings, so progress and improvement areas of a child are discussed face-to-face, and not in public. The intention is to work towards the betterment of the child, taking parents support to get the child to the next level, and not to criticize and humiliate the child. We have an upper limit of 32 children in a class. Infrastructure arrangements are made accordingly – in the classrooms, in the labs, in the eating area, in toilets and in sports areas. There are also regular updates from the website, the mobile app and circulars from the school which let parents know what the children are up to. Most of our children go to school by bus. We make sure that the transport provider adheres to all our norms – fixing a speed governor, lady attendant, GPS with GPRS, webcams, safety grills and seat belts. We also have a system to monitor these things. Not only that, but we also go to the extent that children who are not picked up by the parents at the drop-off point, are brought right back to school where the parents have to come and pick the child themselves. Additional student ID cards are given to parents right at the beginning of school, which make it easier for the school staff to identify the parents in case of emergencies. In fact, our attention to detail can be seen even in the uniform, which is a T-shirt and tracks. This uniform is a wash and wear uniform, which requires no ironing. So, now, parents don’t need to remember “special” days of the week to put on different uniforms – all days are similar. Obviously, since everybody is so focused on the children, right from the watchman, you will find happy and smiling staff and delighted students, at a Walnut school. Come and visit us during office hours and see. It really is everything you ever imagined a school should be!